Manchester City is looking to build its American fanbase by hosting a FIFA eSports tournament in the country. 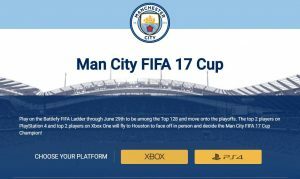 The club - which already has a sister club New York City - is working with eSports platform Battlefy to hold the first Man City Fifa 17 Cup. It will be hosted on PlayStation 4 and Xbox One, with 128 players whittled down to two on each platform, culminating in two finals in Houston. Diego Gigliani, senior vice-president, media and innovation, City Football Marketing, said: “This is a natural evolution for Manchester City. We’ve been very involved with our partner, EA Sports, and the game Fifa for some time. “As eSports continues to gain momentum, it makes sense for Manchester City to be part of the action and get closer to our fans, who love playing Fifa as Manchester City." The tournament will coincide with the club’s US tour, which begins with a derby against Manchester United in Houston on July 20th.